It’s that time again to give a few things bought while in Hawaii! 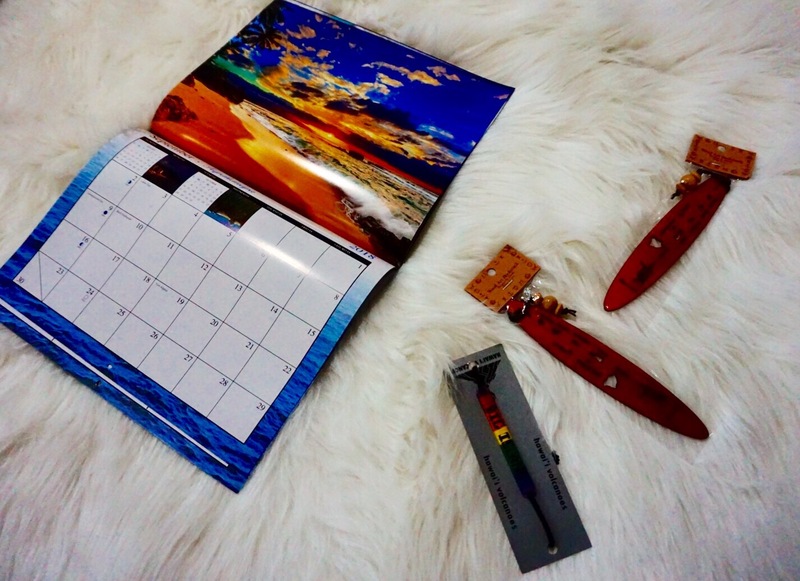 What I have to give away: calendar (pics from Hawaii), bookmarks made from wood in Hawaii (has Hawaiian islands on it), and a “Big Island” rainbow bracelet (unisex). Read below on how to get your pick since it is first come first pick! 1. If you are not subscribed, go to the bottom of my homepage, subscribe and confirm subscription through your e-mail. Afterward, comment on one of the Hawaii posts, and end it with which item you want that is being given away! 2. If you’re already subscribed, comment on one of the Hawaii posts, and end it with which item you want that is being given away! This is first come first pick, READY… SET… GO!!! We worked together with the Plymouth Whalers in 2014-15. People still ask about you there. Keep up the good work. I will watching and reading. I can not forget you! You were very kind in welcoming me and my team to the facility. I have been following some of you on Twitter. I hope you are well, we should link back up soon. I am with USA Hockey and the National Team Development Program now. Same place. Elite 16 and 17 year old American players on the fast track to college hockey and the NHL. Stop on by when the season starts. Rink has been 100 percent upgraded and renovated. You and your husband are coming as my guests. Let me know. Enjoy your work. Keep it up.